I've been home for a bit more than a week, and it's taken all this time to get it together to create a post about the 5th Urban Sketchers International Symposium. Part of the delay came from wanting to reflect on the experience. This is the first of what I hope will be a few posts. 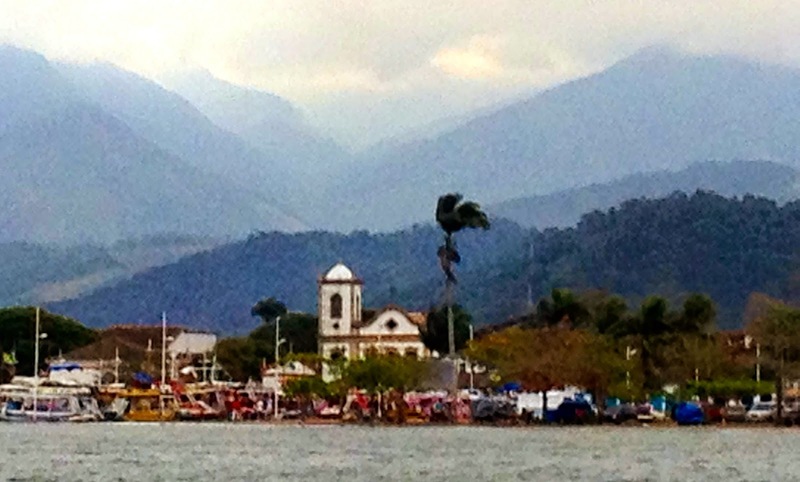 This one focuses on - Paraty the Place. It was a long trip. It was even a long trip for the sketchers from the different cities in Brazil. The only group that found it easy were the 10 or so Paraty Urban Sketchers. It was a ten hour United flight from NYC followed by a 7 hour bus ride to get there. 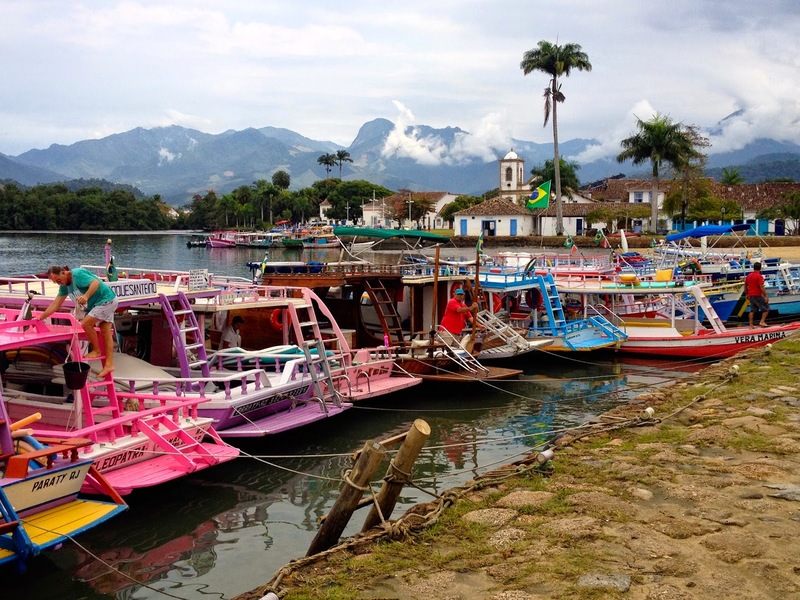 In 1698 after the discovery of the richest gold mines in the world Paraty became the export site for the mined gold being transported to Rio de Janeiro and then from there to Portugal. Eventually this route was abandoned because the transport ships were plagued by pirates who hid among the many islands in the bay. The town remained mostly untouched over all those years and has just been rediscovered. I got to Paraty a few days before the Symposium started and the town was already filling up with sketchers. Nearly everywhere you went you ran into happy friendly people with sketchbooks - people from all over the world. 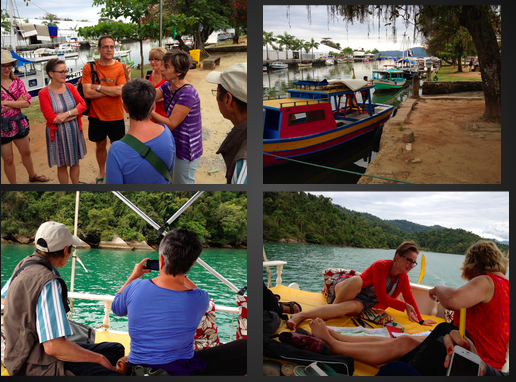 A group of us got together and rented a boat to cruise the bay and explore the islands. Mark, a great post! Love the photos and the small sketches of the scenery. They definitely capture the feeling of the day! Looks like a great time. I can't wait to hear all about it, but by the time I get out with the group again this will be old news. lol I followed a lot of what was going on on the Flickr site...didn't want to miss anything. Welcome home! Welcome home. Marvelous reportage and sketches. Waiting for more. Great post, Mark! I know how you feel... It was a VERY long flight.